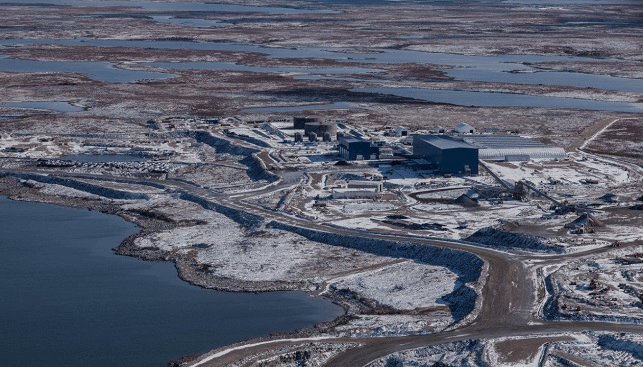 Mountain Province Diamonds, which owns and operates the Gahcho Kué diamond mine in Canada, reports that between 2019 to 2021, the mine will yield “a sustainable and smooth mining rate as the mine performance maintains a steady state”. It added that in 2018, carats recovered “will be above the upper end guidance of 6.6 million carats”. For year 2019 and 2020, the company expects to produce 6.6-6.9 million carats per year. For 2021, the miner said it expects to produce 6.8-7.1 million carats. Company President and CEO Stuart Brown commented: “With the 2018 fiscal year coming to an end, we are well on our way to exceeding the upper end of our 2018 guidance […]”. He added that the company’s business plan should “extend the life of mine beyond 2028” and that the company’s forecasts “for 2019 and beyond demonstrate that our operating margins remain healthy and the mine continues to generate positive free cash flow to cover all our operating costs and debt service requirements […]”.